Today it was reported that the SVP of Zions Bancorporation National Association (ZION), Alexander Hume, exercised options to sell 2,423 ZION shares at $20.99 a share, for a total transaction value of $123.6K. In addition to Alexander Hume, 8 other ZION executives reported Sell trades in the last month. Based on Zions Bancorporation National Association’s latest earnings report for the quarter ending December 31, the company posted quarterly revenue of $796 million and quarterly net profit of $226 million. In comparison, last year the company earned revenue of $701 million and had a net profit of $124 million. ZION’s market cap is $9.6B and the company has a P/E ratio of 12.43. Currently, Zions Bancorporation National Association has an average volume of 1.12M. Based on 8 analyst ratings, the analyst consensus is Strong Buy with an average price target of $54.29, reflecting a 5.6% upside. In the last 30 days, insiders have sold $1.43M worth of ZION shares and purchased $83.27K worth of ZION shares. The insider sentiment on Zions Bancorporation National Association has been negative according to 164 insider trades in the past three months. This sentiment is lower than the average sentiment of company insiders in this sector. Alexander Hume’s trades have generated a -8.2% average return based on past transactions. DailyInsider proprietary algorithm detects trades by the most influential insiders and selects attractive trading opportunities daily. To subscribe to the DailyInsider visit this page. 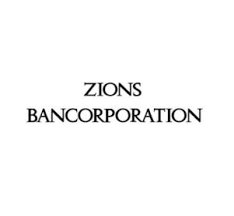 Zions Bancorporation NA is a bank holding company, which engages in the provision of full banking and related services. It operates through the following segments: Zions Bank, Amegy Bank, California Bank & Trust, National Bank of Arizona, Nevada State Bank, Vectra Bank Colorado, and The Commerce Bank of Washington.